Defra is committed to getting to zero avoidable waste in the UK by 2050. We want to move towards a circular economy - where waste can be reused and moved back into the production cycle, rather than just being disposed of. To do this, we need to have a full understanding of how waste is created and what happens to it. We need to be able to track waste movement and waste levels in real-time throughout the waste chain with no additional burden to carriers or companies. And we need to be able to spot opportunities where, for example, 2 or more companies or industrial facilities could join up and the waste from one could become the raw material of another. We think digitisation and using innovative technologies gives us the chance to do this. That’s why we submitted a bid to the GovTech Catalyst innovation programme to tackle this issue. And why we’re delighted to secure funding. The GovTech Catalyst is a new Government Digital Service (GDS) initiative, run in partnership with Innovate UK. It makes £20 million of research and development funding available for public bodies to bid for across 3 years. Funding is awarded in tranches, with suppliers invited to submit innovative proposals to help meet each GovTech challenge. Our GovTech bid for funding centred on help to design and build a solution to track waste throughout its lifecycle across the UK. We called our bid Smart Waste Tracking. In order for GovTech Catalyst bids to be successful, they need to meet a number of criteria. For example they must be current service or policy delivery problems that are clearly understood and they must require a technology innovation to solve them. In addition, bidders must have the resources available to work on the challenge in order to move quickly, because the way GovTech works is that funding is rapidly committed to proof of concept work – there is no long lead time or specification stage. At Defra, we had a number of issues that we thought might potentially work as a GovTech challenge. These are from our 25 year Plan to Improve the Environment, which we published in January. This is an ambitious, flagship to address key environmental issues. Based on this document, Defra Digital carried out a compressed consultation exercise across the Department and spoke directly to policy leads to build up a picture of the biggest challenges facing Defra. We distilled these conversations into a longlist of high-level themes and challenges. Alongside Smart Waste Tracking, these included other issues such as Richer Flood Forecasting and Protecting Our Environment from Chemicals. We developed a set of analysis criteria to help us rank the Defra challenges and Smart Waste Tracking emerged as the front runner. A joint Digital and Policy team shaped the GovTech bid submission, conducting due diligence on any potential solutions that are already available, and clarifying the benefits. We won - what now? After we were awarded the funding, our challenge was opened up to suppliers to submit their solutions. We ran a supplier engagement event in Bristol in June to talk about the challenge. We wanted to give businesses the opportunity to ask us questions and hear direct from policy leads, not just from Defra but from other Devolved Administrations. Waste is a UK wide issue, so we have been keen to link up with colleagues from Scotland and Northern Ireland. 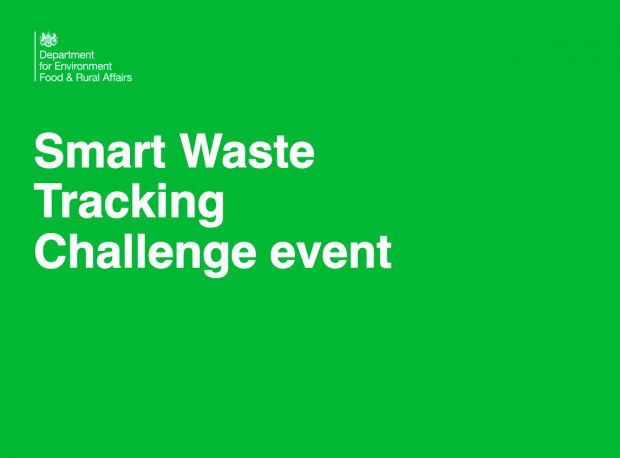 We received a steady flow of questions and when the competition closed to entries in July, we found we received 50 proposals to work with us on the Smart Waste Tracking challenge. We now need to sit down and evaluate all the bids to select a Top 5 to take forward into proof of concept phase. Innovate UK will help us with that exercise and we have been talking to them about our needs and assessment priorities. We’re really open-minded about what solutions this process will generate. We know the problem of waste tracking across the UK is so vast that it is extremely unlikely that one single product or solution will solve all the issues and unlock all the benefits. But what we do hope is that GovTech will answer a part of the overall problem in ways that then enable us to iterate, improve and expand. 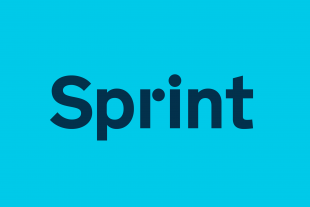 One of the most exciting things about the Catalyst is that it is helping us to fast-track funding to target a specific problem and accelerate to Proof of Concept stage so that we can very quickly start to test viability. The GovTech experience has been really exciting and very different to the way we would traditionally spin-up a new project. Start your thinking and consultation early. We found that when we started talking to people about this initiative, almost everybody had a good idea they wanted to share. Our problem was not identifying challenge candidates – but identifying the RIGHT challenge candidate. Talk to people. The more you talk to people up and down the organisation, the better view you will have of the really big challenges. We found that common themes began to emerge and that helped us to focus on the most meaningful challenges. Have your team ready. The GovTech process is quick but immersive. It’s not something you can pay lip service to. Once you have submitted your challenge bid, you need to be ready to commit serious team time to back it if it’s successful. Make sure you can draw on and commit subject matter experts and support those experts with the right team around them, especially when it comes to communications and engagement work. Don’t expect to have all the answers. This is a new initiative and one of the intentions is to find innovative and creative answers to long-term challenges. Don’t be put off if you don’t have an immediate answer to a new or interesting problem. Be ready to talk about what you are doing. We found that lots of different people from lots of different organisations want to talk to us about Smart Waste Tracking so be prepared to cater for lots of interest in your challenge. Read more about how to submit a challenge and the challenge selection criteria.